Do you need to control automated processes? Do you configure office based systems? Are you an SME within the Sheffield City Region? Visual programming allows programs to be treated as objects. Automated and configured processes are a common feature in office and manufacturing environments. Understanding and controlling automated processes has risks and challenges. 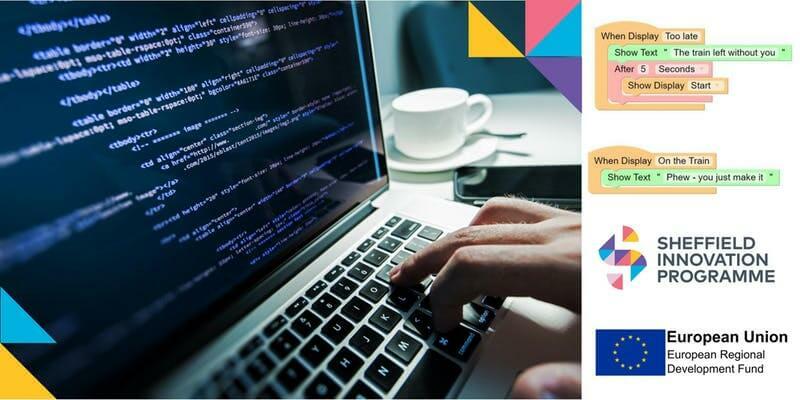 This workshop will explore visual and interactive techniques that can bridge the gap between non specialist users and programmers and reduce the risk of errors. You’re invited to this two day workshop (3rd and 4th July) where you will explore visualisation tools for adapting software for use in IOT, smart devices, mobile apps and browser applications . The workshop is run by the Sheffield Innovation Programme with academic experts from the Communication and Computing Research Centre at Sheffield Hallam University. The workshop is suitable for non programmers and programmers that are looking for new ways of coding or ensuring that their end users can manage configuration.